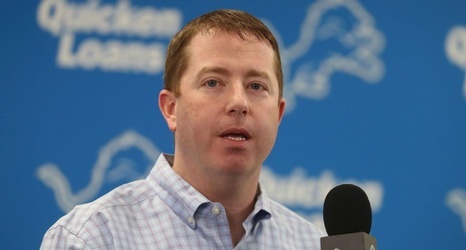 DETROIT -- Detroit Lions general manager Bob Quinn said Monday the club is open to taking a quarterback with the No. 8 pick in the draft if they deem someone worthy -- even with veteran Matthew Stafford on the roster. "We'll consider any position in the draft at any point in time, whether it's the eighth overall pick or we have multiple picks later in the draft," Quinn said. "We're in a position now with the eighth overall pick that the whole draft board is really wide open to us.